Maximize your reaction speed to new ideas and unpredictable design changes. 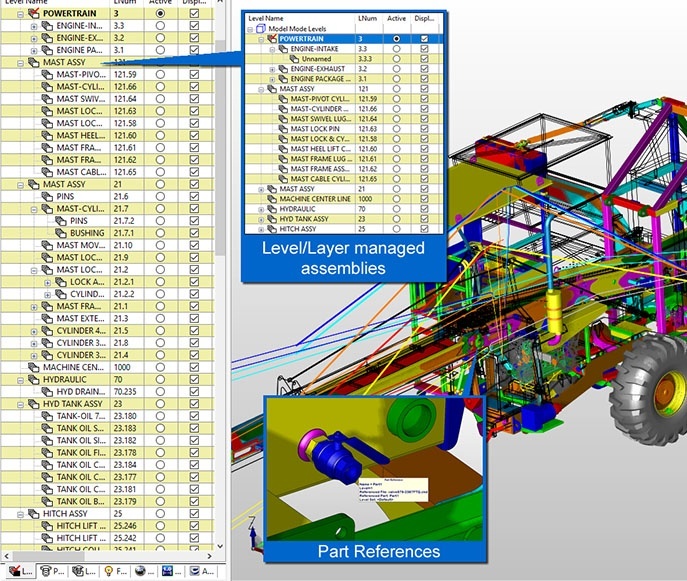 The history-free, geometry-centered modeling approach pioneered by KeyCreator is ideal for projects where quick, un-planned design variations and productive re-use of design data from anywhere are critical. Finish your projects faster by freeing yourself from the constraints and design-lock-in imposed by a parametric CAD database. The uncomplicated part, drawing, and file structure of KeyCreator is a significant time-saver for individuals and small teams. Keeping data simple and flexible eliminates time spent managing an overly complex set of separate design files and part relationships. If projects get large, KeyCreator can optimize memory use by moving some sub-assemblies into referenced files. The comprehensive 3D and 2D tools in KeyCreator have been evolving to meet the needs of manufacturing pros since the ground-breaking first-generation CADKEY program was released 1984. SOLIDCAD provides a high level of analysis solutions and services to the engineering industry of Africa through their CAD and CAE product range.